It's all about rake and trail. when I was building the Inferno front forks. Thanks for bringing it back to this new AZ site. but when I used your method of testing, it responded the same as 1 & 3. I am trying to decide if I need more trail or? 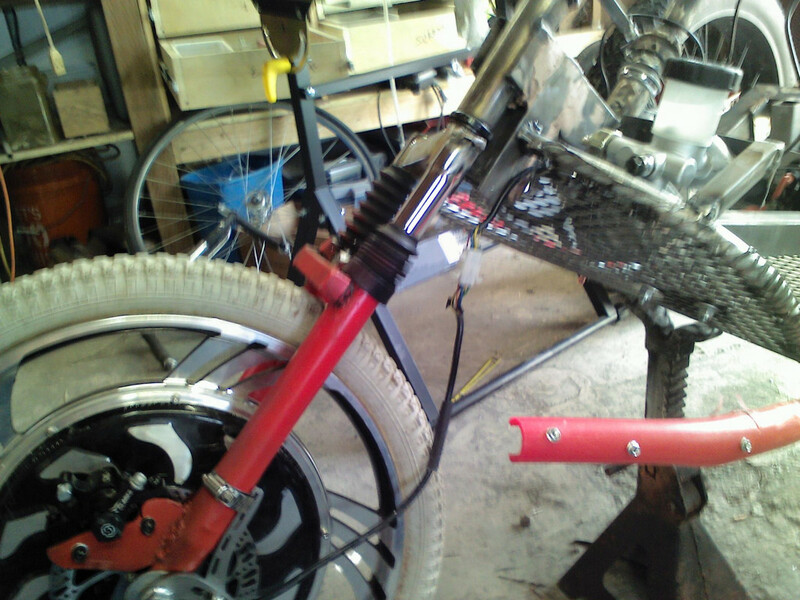 have a Delta trike w/ front hub motor. The issue is the steering is too heavy. Hard to steer the trike especially if it is just sitting. Going to remeasure the trail etc. something wrong with image? The steering is hard to turn especially when sitting. Am sure I messed up the trail or ?? Nice to see you are back and still dabbling ? I assume you are encouraging the youngsters to build at least one chopper with horrendous wheel flop ? 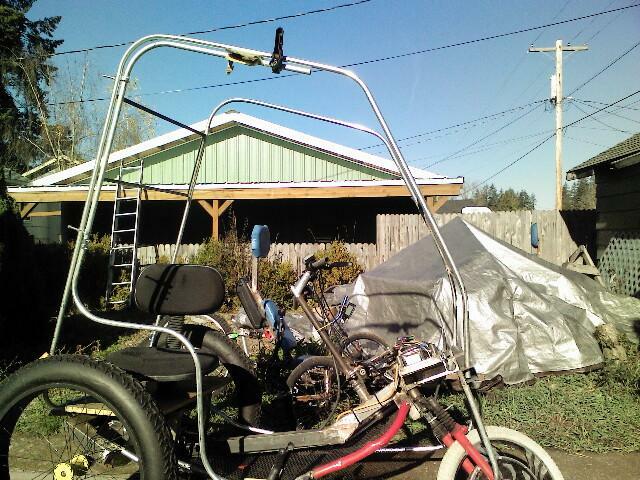 MY PICTURED TRIKE IS A CART W/ FRONT WHEEL DRIVE i AM BUILDING FOR MY WIFE. cOMPLETE W/ BODY USING EMT CONDUIT AND DACRON FABRIC.